Learn your destiny through a Tarot Card Reading … Anyone can learn how to read Tarot cards, but it does take time to master it. The length of your learning process may depend on the resources you use when learning how to read them, but there is an effective way to learn reading Tarot cards and that is the aim of this ebook. There is a wide collection of Tarot decks available today. While the cards’ types, their meanings and the suits are the same, the pictures or illustrations may vary widely. Decks can be based on different themes including nature, dragons, fantasy, animals, etc. The most common decks were used is Rider-Waite deck that was created in year 1909 by a prominent member of an occult group. The artist of the Tarot cards was Pamela Smith. Normally, a Tarot card deck is composed of 78 cards and is considered as definitive. However, there’s no definitive Tarot deck. The typical Tarot deck is composed of Major Arcana and Minor Arcana. Probably the trickiest process of reading Tarot cards is memorizing or remembering each of their meanings. All cards in Major Arcana are numbered from zero to 21. It starts from the Fool and ends in the Universe or the World. The Major Arcana cards are said to be the easiest cards to remember and to read as their titles show their meanings. The Lovers, for example, can mean a choice which one has to make rather than to have an affair or another romance. When you are memorizing, always memorize the cards’ positive meanings before you start to learn the reversed meanings. Believers use Tarot cards to predict the future as well as to gain insight about the current events. Standard Tarot card decks contain a total of 78 cards with 56 Minor Arcana cards and 22 Major Arcana cards. The Major Arcana cards contain The Hanged Man, The Lovers, and so on while the Minor Arcana cards are categorized into four suits including swords, cups, pentacles, and wands. Every suit is composed of 14 cards, and these cards are numbered from one to 10 consisting of four face cards. The so-called pages in Tarot are among those face cards. Tarot cards are used to guide one person when experiencing tough times or facing complications in life. For instance, laying out the Celtic Cross’ spread exposes several atmospheres which surround a question. The outcome of the reading will be shaped once the questions are narrowed down like knowing the past which may have influenced the present situation. There are several steps that you may take into account when interpreting the combinations of Tarot cards. 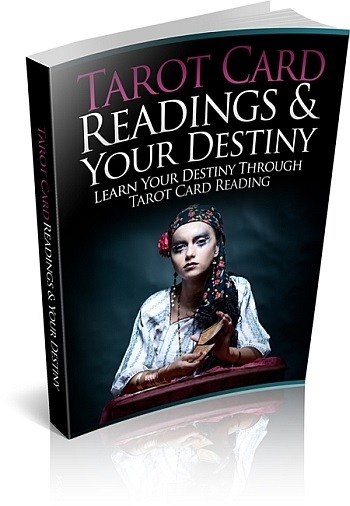 Whether you are still learning or want to master Tarot card readings, the steps in this ebook can be of great help. What Are the Meanings of the Pages in Tarot? What Are the Meanings of Tarot Card Numbers for Psychic Abilities?